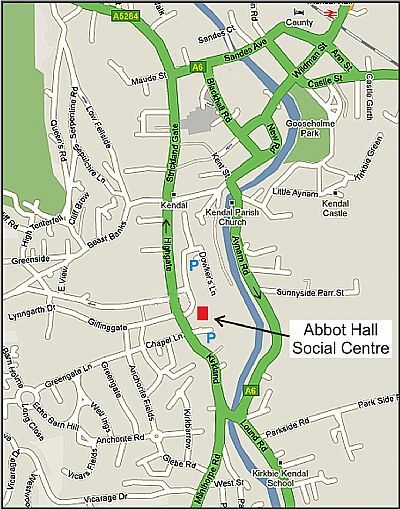 Meetings start at 8 pm (unless otherwise stated) and are held in the Abbot Hall Social Centre, Kendal (unless otherwise stated). The entrance to the Centre is at Dowkers Lane. Car parking is available at Dowkers Lane, see map below. Visitors are welcome to attend meetings charge £2.